One of the major features of #iOS 10 is the all new Camera app. Apparently, #Apple has seen a promising future in smartphone photography from a consumer level and is even starting to boom and hit on a professional level to date. This content highlights every key feature that is embedded into and you need to know of about the Apple iPhone 7 Plus Camera app in iOS 10 platform. Standard procedures on how to use each and every key features of the new iPhone camera are also tackled. If you want to make the most out of your new iPhone features particularly on the camera system, then you might as well consider reading this entire post and use it as reference when needed. 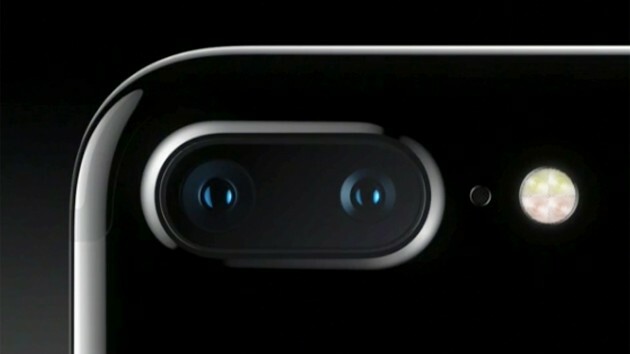 You can take photos and videos using the rear-facing and front-facing FaceTime camera on your iPhone 7 Plus. The same thing goes with the iPhone 7 device. With iOS 10, you can take even better photos in low light and capture images and live photos via Retina HD display with wide color spectrum. You can also zoom closer at higher resolution with the Dual 12MP wide-angle and telephoto cameras on the iPhone 7 Plus. With iOS 10, you will no longer require to tap and slide up from the transparent camera icon at the bottom right corner of the lock screen. Instead, all you have to do is simply swipe from the right to left anywhere on the phone screen. Go to the Home screen and tap Camera to open the application. Select Photo/Square or Portrait screen orientation. Tap the Shutter button or press either Volume button on your iPhone. Swipe left on the Lock screen to make the camera screen appear and then take the picture. Once you’re done taking photos, you can go back to the Lock screen by pressing the Home button. Open the Control Center or go to the Home screen. If you are not comfortable with the current shutter sound volume, you can adjust the volume using the Ringer and Alerts settings. To do so, go to Settings-> Sound & Haptics. Or if you want to hear no sound at all, then you can just mute the sound using the Ring/Silent switch on your iPhone 7 Plus. If you prefer to utter commands to your iPhone when taking photos, you can use Siri to do so. All you have to do is say something like “Open Camera” to quickly launch the camera screen or “Take a photo” to take a picture. The following steps will help you get through the camera settings menu, wherein you can manage and configure camera options according to your preferences. Tap Camera from the Home screen to get started. On the top of the Camera app screen, select any of the given options including Flash (top left), HDR, Live Photo, Timer, Filter (top-right). At the bottom of the Camera app screen, select from View photos or Switch Camera options. To switch between camera modes, swipe left or right of the screen. Among the camera modes you can choose and use would include Time-Lapse, Slo-mo, Video, Photo, Square, and Pano (panoramic). Tap the Shutter button when ready. If you want, you can keep only the Portrait mode (beta) version of your photo. To do so, go to Settings-> Photos & Camera, and then turn off the Keep Normal Photo option. You should then see the Portrait mode versions of your photos in your albums are marked with Depth Effect in the corner. Both the normal and Portrait mode versions of the photo appear in Photos, by default. To find photos in Depth Effect, open the Photos app, tap Albums, and then tap the Depth Effect album. Live Photo allows you to capture more than just a snapshot. To use this camera mode, you need to enable Live Photos and then tap the Shutter button to capture the subject the way it happens, in movement and sound. The duration of the exposure is indicated on the screen. Live Photos can be edited and added with filters in the Photos app. To take burst shots on your iPhone 7 Plus, you will use the rear-facing camera or front-facing FaceTime camera in Photo or Square mode then touch and hold the Shutter button to take rapid-fire photos in bursts. You will notice that the shutter sound is different and the counter shows how many shots you have taken. To stop, just lift your finger. Tap the burst thumbnail to view the suggested shots and then tap select photos that you want to keep. The suggested photos are marked with grey dots beneath the thumbnails. To copy a photo from the burst shot as a separate photo, tap the circle located in the lower-right corner of the photo. To delete burst of photos, tap the burst thumbnail and then tap the Trash icon. To select which burst photos to update to your Photo Stream, go to Settings-> Photos & Camera. Switch to front-facing FaceTime camera. Tap the Shutter button when you’re ready. The screen flashes on exposure. Pan slowly in the direction of the arrow and then finish the pan by tapping the button again. To pan in other direction, first tap the arrow. To pan vertically, rotate your iPhone to landscape orientation. You can also reverse the direction of a vertical pan. To shoot a Panorama at 1x and 2x zoom at full resolution, toggle between the zoom in and out icons. Grid. You can configure certain settings on your iPhone camera to keep your pictures straight using Grid. You can enable the Grid feature by going to Settings-> Photos & Camera -> toggle the switch next to Grid to turn the feature on. When enabled, you will see a grid that can help you align shots. Zoom in or out. The iPhone 7 Plus sports dual 12MP wide-angle and telephoto cameras to capture full-resolution video and stills at 1x and 2x zoom. Simply toggle the Zoom in or out icons to quickly switch. With digital zoom, you can further zoom images up to 10x and videos up to 6x. To obtain finer zoom and zoom beyond 2x, touch and hold the zoom control, and then slide left and right of the screen. Alternatively, you can just pinch the screen to zoom in and out. Navigate to the desired screen on your iPhone. Once you are in the screen you want, simultaneously press and release the Power (Sleep/Wake) and Home buttons. The screenshot will then be taken and added to the Photos tap in Photos. You can also view your screenshot in the Screenshots album or All Photos album if you are using iCloud Photo Library. Tap Photos or Videos from the Home screen. Tap to select the image you want to delete. Tap Delete Photo or Delete Video to confirm action. All deleted photos and videos are moved to the Recently Deleted album and will be permanently deleted in 30 days. To give yourself time to be in the shot, use the capture timer. To do so, stabilize your iPhone first, and then frame your shot. Tap the timer, and tap 3s or 10s. Finally, tap the Shutter button. If you don’t want your current camera settings to reset or change, you can preserve camera settings by going to Settings-> Photos & Camera, and then tap Preserve Settings. For example, you can preserve Photo Filter and Camera Mode settings so they are not reset the next time you open and use the Camera. Be sure to manage your photo storage so as to make room for your new collections. Use iCloud Photo Library to keep your photos and videos up to date on all of your iOS devices. Quickly remove or delete any photos that are no longer necessary to free up storage space for additional images. You can use Apple USB camera adapters with other USB devices to import photos from your digital camera as well as to connect your iPhone 7 Plus to other USB devices for file transfer purposes. Among the USB devices you can use with Apple USB camera adapters include audio/MIDI interfaces and devices, hubs, Ethernet adapters, SD card readers, and bar code scanners. To begin importing files, connect your iPhone to the other USB devices using the Apple USB camera adapters, and then follow the onscreen instructions to complete the file import process. Disconnect the Apple USB camera adapter from your iPhone. Disconnect any USB devices connected to the Apple USB camera adapter. After the restart, plug in the Apple USB camera adapter again and then retry to connect the USB device. Note: Among the requisites in using the Apple USB 3 camera adapter is an updated software version on your iPhone, particularly iOS 9.3 or later versions.